You’ve probably heard the cliques’: what goes around comes around; everything old is new again … While these sayings may have more than a bit of truth about them, it “ain’t necessarily so” in the funeral industry where non-traditional is catching on. 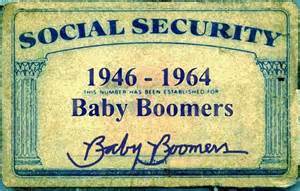 Baby Boomers are the catalyst to this change, thanks to “thinking outside the box” and wanting a service that is unique to their lives. Themed funerals are starting to take off, and services are becoming memorial events. 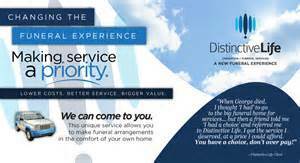 In Texas, one funeral home director decided to offers some options to the traditional funeral home. 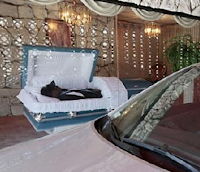 Funeral Director Jeff Freidman operates Distinctive Life Funeral Home, (yes, a traditional funeral home) in Plano, but he has also set up a storefront in Richardson Texas where you can shop for grandma’s casket in a nicely lit, comfortable showroom with real music playing. Distinctive Life also has several vans equipped with a selection of urns, many unique and creative (A floating urn anyone?) along with a computer on which you can view and select the casket you’d like without leaving home. At Adams Funeral Home in Los Angeles, mourners simply pull up to a bank teller-like window and push a button. A curtain raises, music plays and you have a few minutes to say your good-byes to the deceased. Wade Funeral Home in St Louis has become known for their themed viewing rooms, offering a familiar setting like “Big Momma’s Kitchen” where family and friends can gather in a homey 1950s style kitchen as a platter of fresh fried chicken waits on the stove. 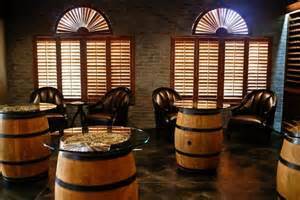 Hodges Funeral Home in Naples Memorial Gardens offers family and friends the opportunity to sit and reminisce over a glass of wine in their wine bar providing a more relaxed and calm way to mourn and remember. Amid comfortable chairs, high top tables, and racks of wine, this modern wine cellar provides a more laid-back, tranquil vibe than your average funeral home viewing room. The Neptune Society, the largest cremation-only provider in the U.S., takes cremated remains and mixes them with cement before placing them in a mold. 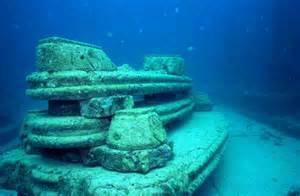 Once the mold is formed, the shaped piece is then taken down to the world’s first underwater “cemetery”, actually a cremation memorial park, and placed on the Atlantis Memorial Reef with a memorial plaque. There, the molds become a permanent part of the ever-changing man-made reef. 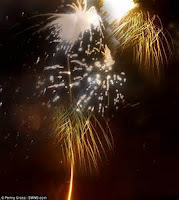 You can even light up the sky when the Celebrate Life Program mixes your ashes with phosphorous to create a private fireworks display for family and friends.One things for sure, Boomers do not intend to go “quietly into that good night” – at least not without some serious shake up of the traditional, and a touch of individualized flair on the way out.